Get your tickets early for this very special reunion. Backwoods Jazz plays a unique fusion of folk music and swing jazz. With sparkling vocals and a variety of instruments from guitar to clarinet, mandolin to duck call, the trio covers a wide repertoire from Irish and Greek ballads to Duke Ellington, along with a tasty sprinkling of original tunes. The band has entertained before diverse audiences including Folsom prison inmates and the Queen of England. The group earned 3 touring grants from the California Arts Council, including the only CAC grant awarded via competitive auditions. The group’s music has received worldwide attention with airtime and interviews on BBC and NPR coast-to-coast network. Backwoods Jazz grew from several earlier projects involving Paul Emery, Tom Schmidt, and Anni McCann. Paul & Tom founded the notorious Carmichael Traveling Street Band, heard at Sweets Mill and Berkeley Folk Festivals in the late ‘60s and early ‘70s. In 1979 and 1980 Paul and Anni were an acoustic duo, playing California, the Midwest and Europe. 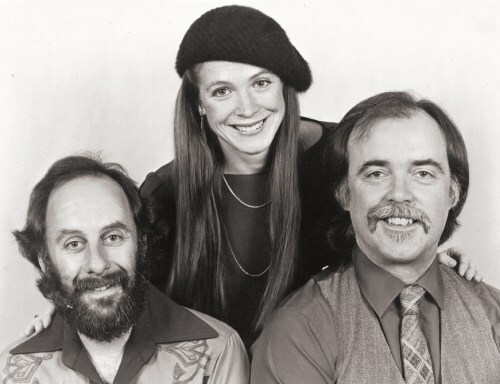 Tom joined to form Emery, Schmidt & McCann, whose ’81 album Backwoods Jazz launched tours of Europe and the West. The addition of Ray Mann created the Backwoods Jazz Quartet and the release of their album Sweet Feet in 1982. (The group’s quintet sound is due to Ray’s facility on bass and drums – he plays them simultaneously.) The group continued to tour and record through the ‘80s with their album Whatever Happened to the Tango being released in 1986. In ’86 and ’87 John Girton joined as featured instrumentalist playing both guitar and clarinet. The “dueling clarinets” of Girton and Schmidt became a signature part of their show. Girton is well known throughout the world for his work as lead guitarist with the group Dan Hicks and the Hot Licks. John recorded 3 albums with the group, and also wrote and arranged material for them. He was also featured as guitarist, saxophonist, clarinetist, and occasional mandolinist with the popular vocalist, Maria Muldaur for many years. After numerous international tours, John started his own group in the San Francisco area. 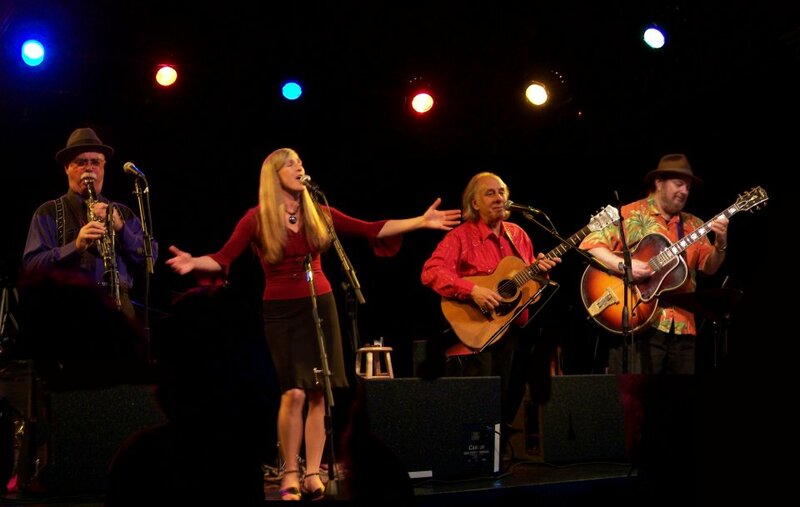 This group, the Girtones played a blend of jazz, swing and blues in Oregon and California, sometimes including singer Maria Muldaur as a member. Cat Girton has been writing and performing music for most of her life. At age 7, she first sang onstage as a part of the Girtons Three, with her father John and her mother Linda Girton. At 13, she recorded and produced her first original album, Soundtrack of Your Life, which included vocals, guitar, and synthesizer. She continued to perform music throughout her time in high school, writing several more original songs including “2-Faced”, “Just a Dream” and “Break Me Like Glass”. She performed at multiple school events, open mics, and parties. After taking a hiatus from music in order to study chemistry at UC Santa Cruz, Cat went on to self produce a second studio album, Local Vocals and Bizarre Guitar. This album features several different genres, with heavy pop-rock and 80’s influences. 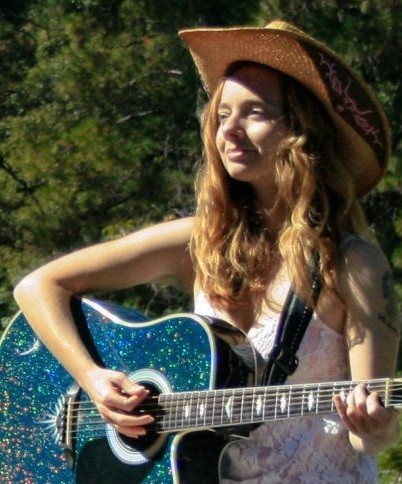 She has performed her original music at bars, restaurants, wineries, weddings, street fairs, and at the Burning Man festival in 2016. Cat is diligently working on her third studio album, as well as performing as part of a newly-formed folk duo, Faces & Aces. She also often performs with a four piece Jazz group, the Crackerjack Jazz Band.